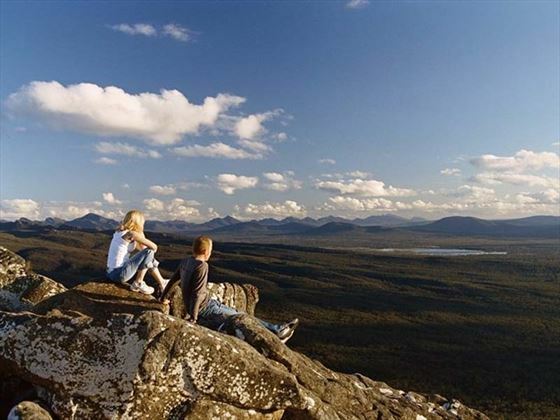 Stunning Boroka Downs offers the very best accommodation nestled in the Grampians. 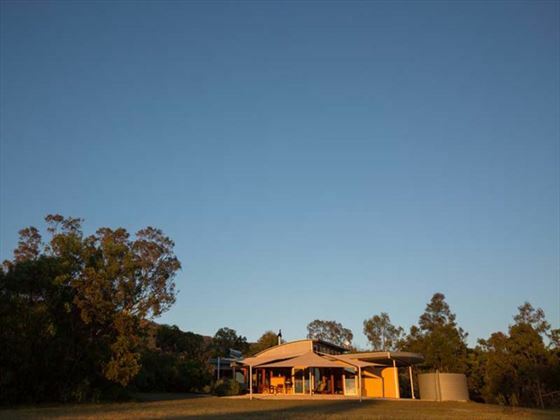 This award winning Lodge is perfectly located for all that the Grampians has to offer. 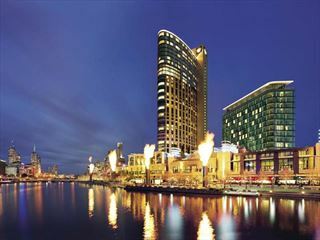 A perfect stopover for your Melbourne to Adelaide self drive. Adult only, this beautiful and secluded lodge offers fabulous rooms with no stone unturned when it comes to quality and attention to detail. 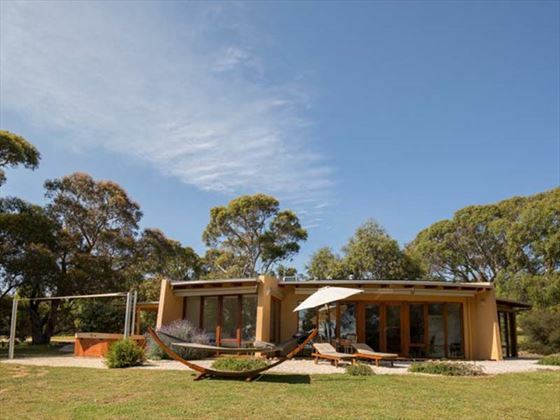 Amazing views, privacy and wildlife are guaranteed here and all within a 5 minute drive of Halls Gap, should you wish to find any restaurants or bars. Exuding a romantic ambience in a breathtaking natural setting with expansive views, magnificent night skies and roaming native animals outside your residence. 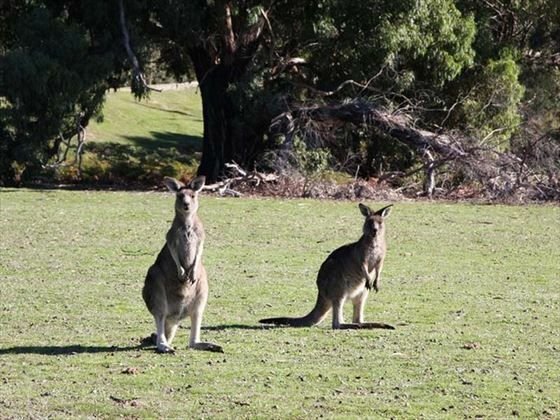 Nestled in the heart of the Grampians, in a rural secluded setting, Boroka Downs is a short drive from the Halls Gap Zoo and Silverband Falls. Scattered on this unique Trust for Nature property are five identical Residences or Villas, each for one couple, separated from one another by space & a mass of trees along a ridge line. Each stand alone residence offers complete sanctuary; 5 minutes from Halls Gap but a world away, pampering is the name of the game with plush king beds. a pillow menu, quality linen and pure wool doonas in a romantic and secluded setting ensuring a great night's rest. This beautiful accommodation is so peacefully and quiet you won't want to leave. 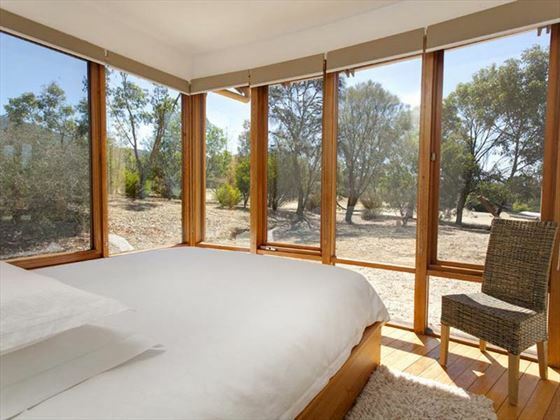 There are fluffy gowns, slippers and a yoga mat for your use, full view glass walls, with blackout blinds, provide a window to the Grampians native wildlife from the comfort of your bed. The living area is large and light-filled with a wall of glass allowing you to view the surrounding Grampians countryside in absolute comfort. In the winter the log fire is pure romance. A regular supply of wood and kindling is maintained by your hosts. The entertainment system provides Smart television with Blue Ray player and surround sound as a quality feature. Bring your music and enjoy your 'favourites'. The large sofa with ottoman lets you comfortably take advantage of the view, the fire, the TV or the back of your eyelids. Binoculars, a bird field guide and other reference material are provided to assist you in identifying the vast array of birds and other wildlife. A small selection of books about the Grampians, Halls Gap and touring in Victoria are also provided to help you unwind. The patio area features sun lounges, table & chairs, a double hammock and shade sails in the summer months. There is also an electric BBQ. 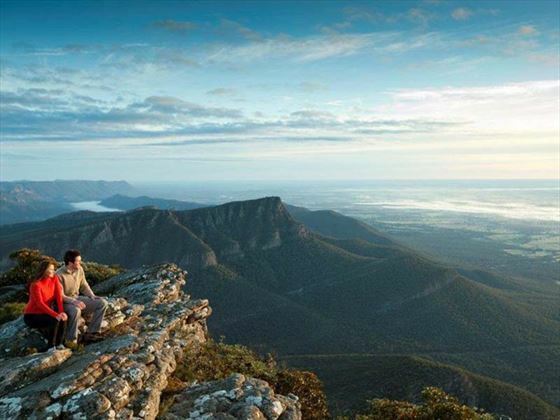 There are no on-site restaurants, Halls Gap is just 5 inutes away with a number of restaurants. You are welcome to browse and pick in the organic vegetable garden, and a wine list is available at Cellar Door prices.